Seamus (Shay/mus) was born on a working sheep farm that breed and raise sheep for meat and wool. He was just a few days old when his eyes were pecked out by crows, rendering him completely blind. Seamus was found in the paddock and taken in by the farmer before finding his forever home at Where Pigs Fly. 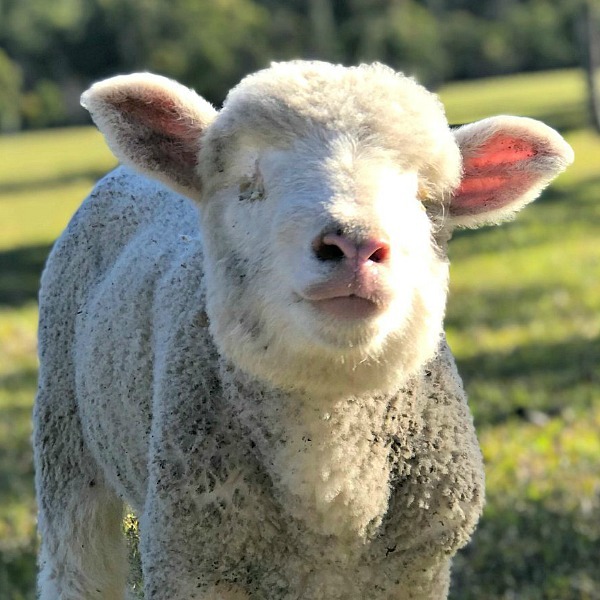 Seamus has flourished at the sanctuary and does not let his perceived disability stop him from leading a full and happy life. He learns his surroundings by following sounds and has forged a close friendship with Bubbles, the rescue piglet, who guides him through the day with her piggy grunts. The pair are never apart and can often be seen sitting under a tree relaxing together. Seamus’ other senses have strengthened significantly to compensate for his lack of sight. He can sniff out a feed bucket from a great distance and his highly developed spatial awareness means there is little delay in reaching it. A favourite of many sanctuary visitors, Seamus is much loved for his gentle, playful nature. 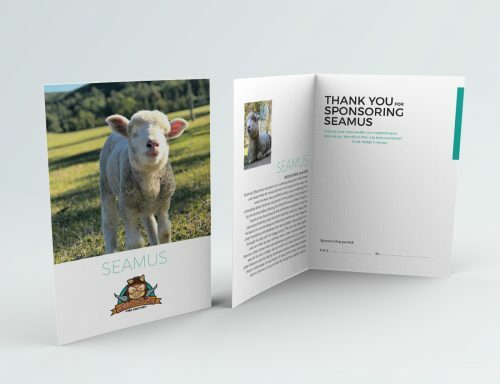 As a sponsor, you will receive a beautiful colour photo-card of Seamus along with his personal profile. This will be mailed within five working days of receipt of order. Our animal sponsorships also make fantastic and compassionate gifts for your family and friends. Please use the comments box when ordering for your specific mailing instructions.